Would you like to be praised by your fellow costume party patrons, like Athena and Aphrodite were by the Greeks? Don’t you think you deserve to be worshiped like the Egyptians worshiped Maat and Hathor? Well, if you’re ready for that level of pampering then you need to look the part and we can help you achieve that godly status easily. 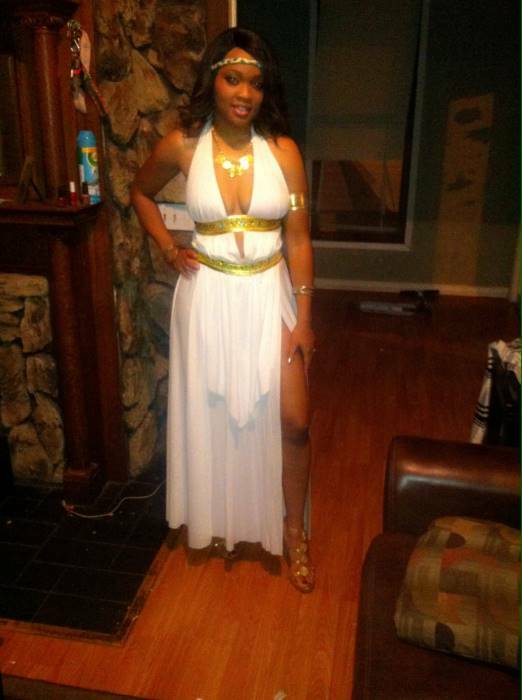 Just check out this Women’s Glorious Goddess Costume! Slip into this elegant dress on throw on all the included accessories. You will look like you’ve descended from the heavens in order to enjoy the Halloween festivities. People will gather all around with hopes for your blessings and grace. Will you be a goddess of love and prosperity, one of war and mortality, or one who’s always down to party? The choice is yours and whichever role you decide to play this Halloween, with this beautiful costume, you will look more than ready to reign supreme. If you wish to add to your divine appearance then simply take a look at the celestial accessories we have in stock. Add a pair of our goddess sandals and a luscious golden wig to this godly guise, then this head-to-toe transformation will be complete! Have a truly heavenly Halloween this year when you celebrate it in this Women’s Glorious Goddess Costume! Oh and don’t be surprised when shrines made of pumpkins and who knows what else start popping up all around town in your honor. I loved this costume. The cape wasn't how it looked in the picture so I did away with it. Everything else was great..